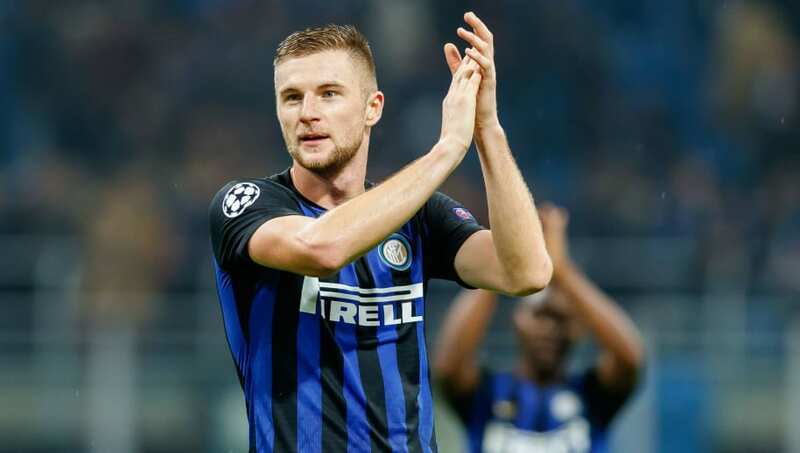 ​Chelsea are the latest club being linked with highly rated Inter centre-back Milan Skriniar, a player already linked with Manchester United on a number of occasions in recent months. Chelsea look set to bid farewell to club captain Gary Cahill at the end of the season, while Andreas Christensen appears out of favour with Maurizio Sarri. Meanwhile, David Luiz is entering the twilight of his career and is currently on course to be out of contract in June. According to The Sun, Inter star Skriniar has been identified as a target as Sarri looks to shuffle his pack and strengthen at the back, seemingly refusing to rest on the laurels of a strong start to his Stamford Bridge tenure. 23-year-old Skriniar is said to be frustrated at Inter's apparent refusal to meet his wage demands in ongoing talks over a new contract at the San Siro. In theory, that could open the door for Chelsea to swoop in, who have shown they are not scared to back Sarri after paying £71m for goalkeeper Kepa Arrizabalaga. Chelsea will even have an opportunity to see how Skriniar handles himself in England when Inter visit Wembley to face Tottenham in the Champions League next week. Skriniar, who has been described as a 'more elegant' heir to former Liverpool defender Martin Skrtel for the Slovakian national team, has had something of a meteoric rise over the last couple of years. He arrived in Italy in January 2016 when he joined Sampdoria from Slovakian club MSK Zilina for a modest fee, later moving on to Inter in the summer of 2017 for around €20m. The player, who even wears the number 37 shirt as Skrtel did at Liverpool, was an ever-present for Inter in Serie A last season. He has again been a regular so far in 2018/19, although he was left on the bench for the league opener against Sassuolo and the September win over Cagliari.